This nutty, Thai-inspired sauce puts a unique spin on veggie dip, is perfect for pouring over cooked spaghetti squash or “zoodles”, and is amazing when tossed with shredded cabbage and carrots for a refreshing salad. The options are endless! While the whole low FODMAP thing has been a big learning process and has had some ups and downs, for the most part I feel much better when eating foods that fit the low FODMAP guidelines. I haven’t reintroduced every category yet, but the foods I have introduced unfortunately haven’t gone well. One of the foods I miss most is veggie dip!! And I mean any kind of veggie dip. 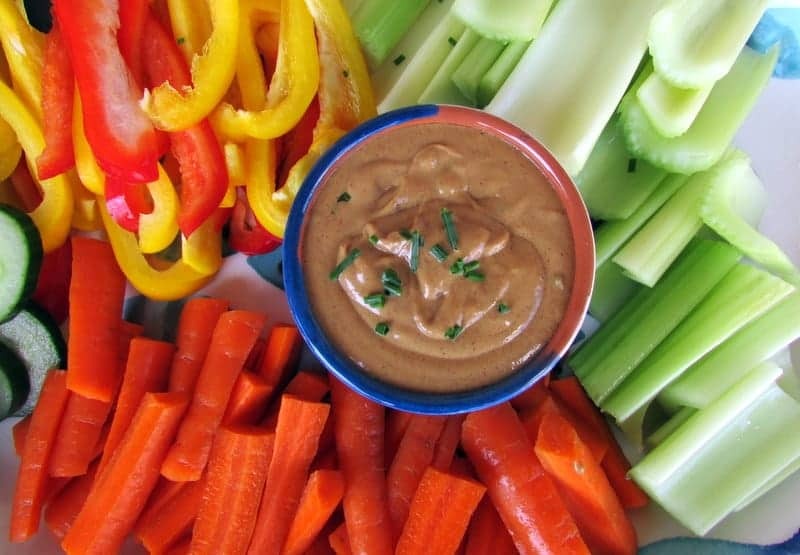 I love a delicious hummus, black bean dip, salsa, and even the occasional ranch dip for a special treat 🙂 BUT none of those are low FODMAP approved. What’s a girl to do when she wants to bring a delicious veggie platter to the party that she can enjoy too? I’m calling this “everything sauce” rather than veggie dip because we have been using it for well…everything! I really like using it in this paleo pad thai recipe and this thai peanut salad recipe. There you have it friends…my latest obsession! 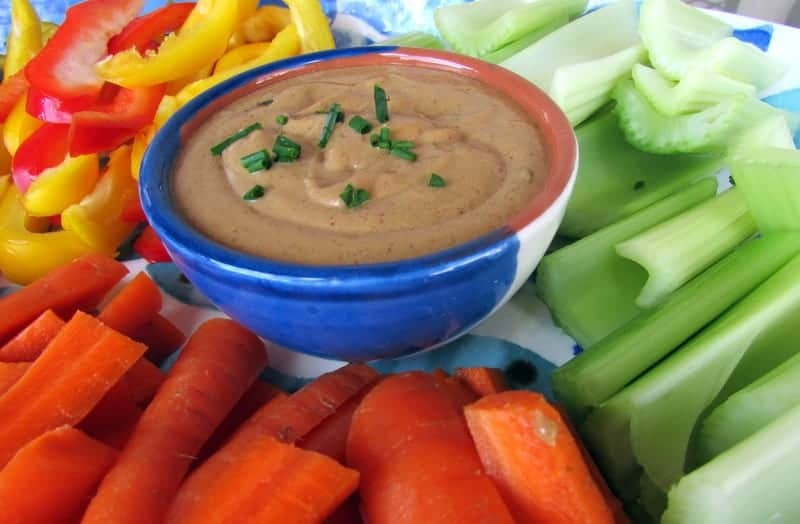 PS: You don’t have to be low FODMAP in order to enjoy the dip. 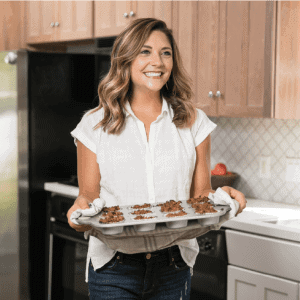 We enjoyed it on the Fourth of July and it was almost completely consumed and received rave reviews from people who aren’t following a low FODMAP plan! Combine all ingredients in a large bowl with a spoon. Mix thoroughly until everything is combined and add additional water or reduce the amount of water to reach your desired consistency. *Sunflower seed butter may be used in place of the peanut butter. I simply place 1 1/2 cups of sunflower seeds in the food processor and process while scraping down the sides until the consistency is similar to peanut butter. Salted or unsalted work fine. 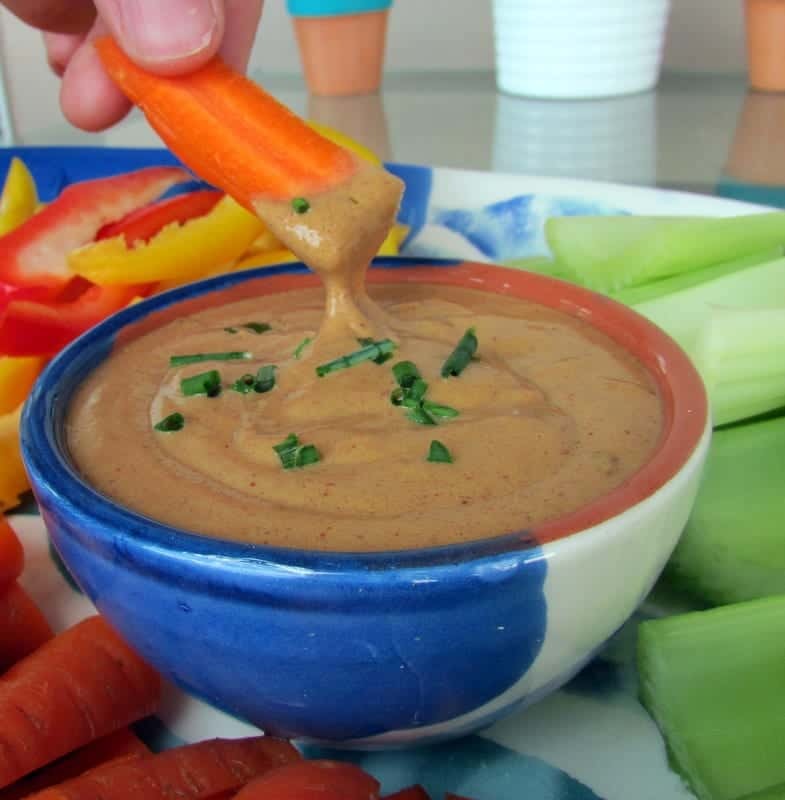 What is your favorite thing to dip veggies into? Do you have a sauce you use for everything!? Thank you for this…I am now going to use it for my Gado gado salad! What is a Gado gado salad!? If it has this dressing, I am sure I will love it! I would also struggle with no hummus. But on the other had I loooove peanut butter. I love all dressings/sauces involving nuts. This sounds delicious and I’m pretty sure I would finish this in a second if I had a jar! 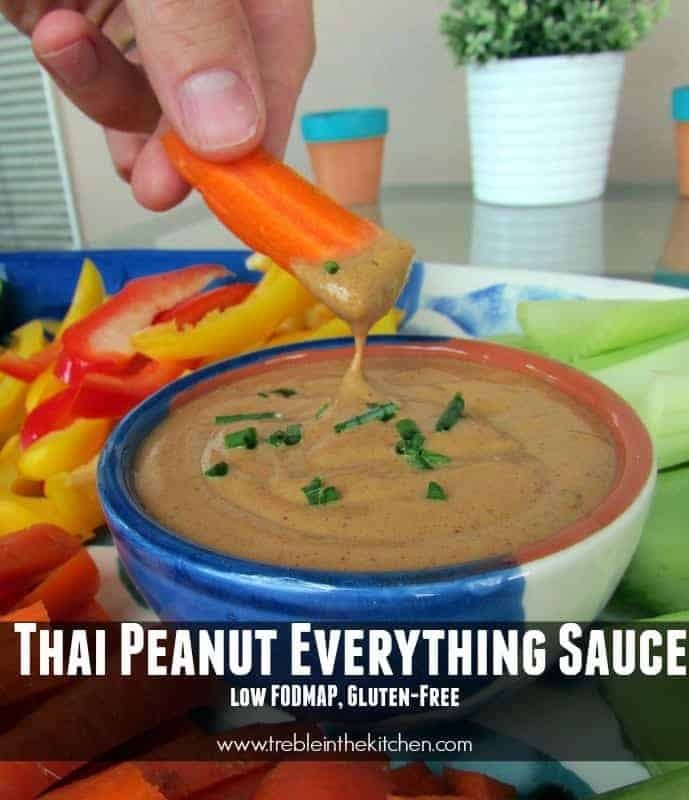 I am a huge peanut sauce fan, this looks great! 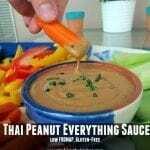 Isn’t peanut sauce the best!? YUM! Let me know what you think, Kalee!! It literally tastes amazing on everything…even a spoon! HA! I’ve never had a sauce like this before because I cannot eat peanuts or nuts but… I do loveeeeeeee hummus! Mmmmm HUMMUS! Gosh isn’t hummus great!? Can you have seeds? This is great with sunflower seed butter!! Perfect! I’ve been trying to come up with a good peanut sauce – I think I was missing lime juice. I’m excited to try this recipe! Lime is the key!! 🙂 I hope you love it! Oh I loveee this! Huge fan of thai peanut flavored anything. Sometimes I don’t do well with peanut butter though, so I’ll use half the amount and subbed the other half with almond butter! I think I have all of these ingredients in my pantry now… I will certainly be pinning this to make later this week! Thanks, Ashley!! Let me know how the almond butter substitution works! Wow, this sauce really sounds like EVERYTHING! YUM!